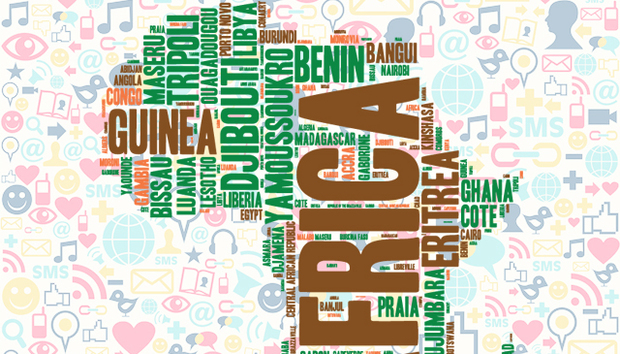 Across Africa, rapid economic growth has fostered the emergence of a tech-savvy, consumerist middle class, whilst access to the internet and mobile telephones has boomed across the continent. Accordingly, African political dynamics are shifting as social media is employed by political bodies as a means through which support can be mobilised and political messages communicated. Often termed Facebook or Twitter Revolutions, the popular risings that so altered North African politics during the Arab Spring provide a useful starting point for this change. For many, without the capacity of online communication platforms to bypass state control of the media, organise protests and instantly communicate images of security service brutality to a wider audience, the overthrow of the autocratic regimes of Tunisia, Egypt and Libya would have been impossible. In Egypt, calls for protest on Twitter, Facebook and YouTube developed somewhat spontaneously. Activist movements rallied support around politically charged images of repression and calls for political reform. “We are all Khaled Said”, a Facebook page named after a young Egyptian who had allegedly been murdered by Mubarak’s security forces during June 2010, provides a case in point. Initially created to provide information about the young man’s death, the page soon developed into a forum for political discussion and played a pivotal role in encouraging Egyptians to take to Tahrir Square to protest in January 2011. It is also worth noting that the central role played by social media during the Arab Spring is a consequence of higher connectivity rates in North Africa. In other areas, where fewer people can access social media, its power to mobilise is diminished. In Egypt, for example, and largely owing to the Mubarak government’s attempt to keep the country’s tech-savvy middle classes onside, internet access had been expanded to some 21% of the country’s 80m population by February 2010, according to Internet World Stats, and over 4.5m were Facebook users, with 70% able to access a mobile phone. However, a combination of high connectivity rates and widespread desire for political change alone are insufficient to guarantee the successful use of social media by activist groups if the state equips itself against such mobilisation. Consider Sudan, where persistent online protests against Omar Al-Bashir and his ruling National Congress Party by groups such as Girifna and Sudan Change Now have generated some protest, but failed to achieve the success of similar calls in nearby Tunisia and Egypt, despite the country’s 21% connectivity rate, equivalent to that of Egypt. In Sudan, a more intelligent government response has curtailed social media’s efficacy. Sudanese human rights activist Dalia Haj-Omar has observed that following initial online activism, the government created a “Cyber Jihadist Unit”, reportedly able to hack emails and social media accounts, as well as monitor online activity, cracking down on those it considers to be the most dangerous activists. The approach appears to have had the desired effect. Many commentators observe that the country’s online protest movement seems to be domiciled outside of Sudan, and a large amount of discussion on online forums takes place in English, rather than Arabic, Sudan’s native tongue. Conscious of the prominent role played by social media during the Arab Spring, political bodies in Africa have incorporated social media strategies into their election campaigning, and the majority of political parties across the continent now adopt a “use it or lose it” philosophy regarding the utility of social media during election campaigns. These efforts have met with various degrees of success. Often this depends on whether or not political bodies adopt a horizontal approach to social media use, engaging with the electorate through interaction on Twitter and Facebook, as increasingly politicians are expected to do, or a “top-down” approach, where policies and political messages are simply published on social media. The example of Kenya’s 2013 elections demonstrates that adoption of the former approach is often the key to successful use of social media during an election campaign. The victors, a coalition of Uhuru Kenyatta, and William Ruto, also called the Jubilee Alliance, incorporated social media use into the very heart of their election campaign, successfully portraying themselves as “digital candidates”, versus “analogue candidate” Raila Odinga of the Orange Democratic Movement. The success of this ploy was greatly aided by the fact that Odinga was almost twenty years older than his rivals. Yet Jubilee’s campaign was far slicker than that of ODM, and the coalition was able to attract the support of the country’s youth through interaction on social media forums. This was in stark contrast to ODM’s use of social media which, demonstrating less of an affinity for its use, adopted a more prescriptive, top-down approach. The coalition, through effective use of social media, was able to encourage the country’s youth, which had largely been politically disengaged, to vote for it, swinging the balance in its favour. Examples of good and bad use of social media by political bodies across the continent are too numerous to mention here. Suffice to say that for every Egypt-like success story, where spontaneous online demands for reform have met with political change, there is a Sudan, where the repressive machinations of the state are able to crackdown on online dissent. Likewise, for every Jubilee Alliance, there is an ODM, and many political bodies across the continent have yet to successfully incorporate an effective social media strategy into their election campaigns. The various offshoots of the Movement for Democratic Change in Zimbabwe, in opposition to Robert Mugabe’s Zanu PF, demonstrate this, using online communication platforms in much the same way as ODM did in Kenya, disseminating information and political messages from the top down, and failing to take the opportunity to energise the country’s large youth population through online interaction. However, as access to the internet and mobile devices continues to grow on the continent, political bodies will undoubtedly continue to adapt to its increased importance, making better use of online platforms to communicate and mobilise support.